Craft beer, schmaft beer. It all starts to look and taste the same. It’s easy to lose hope in the so-called renaissance of beer. 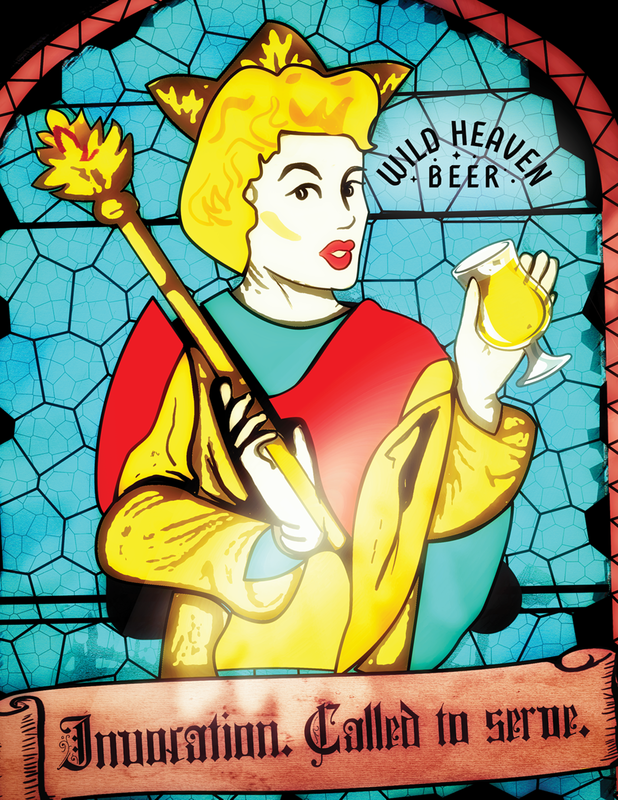 Wild Heaven Beer is God’s unique gift given to restore your faith in beer. 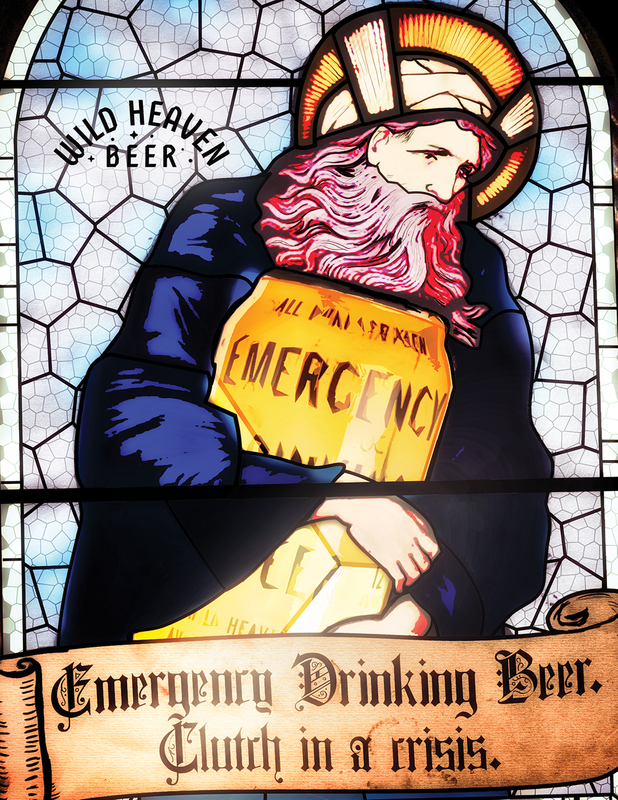 Placed in the brewery itself and in bars that serve Wild Heaven beers. The mailer promotes visits to the brewery itself. 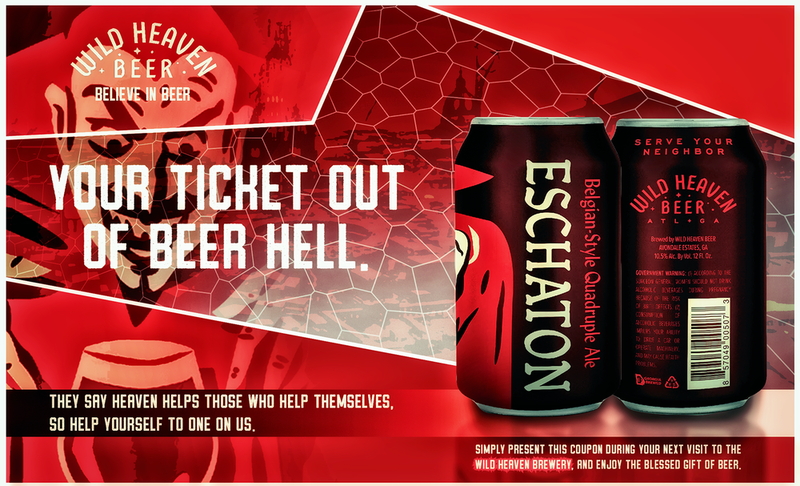 Promoting three of Wild Heaven’s offerings: Eschaton, Emergency Drinking Beer, and Invocation.